Ok these little babies are totally delicious. 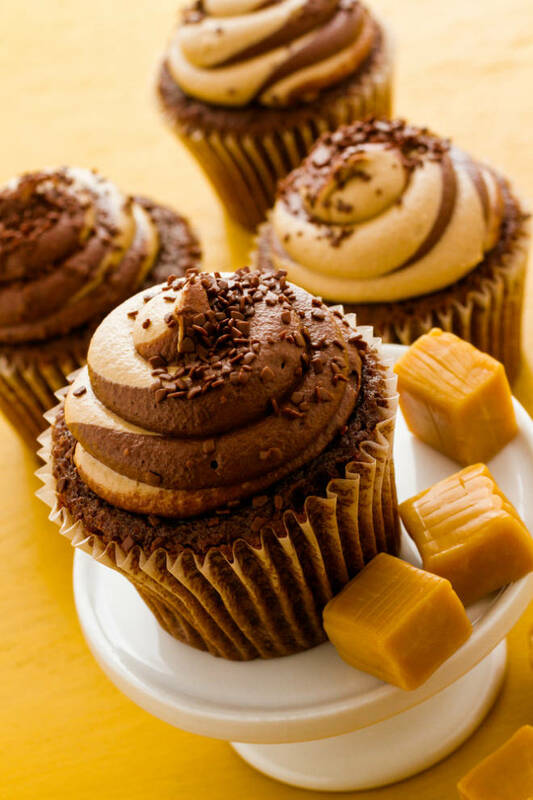 They consist of a chocolate devils food cake mix that has caramel goo inside and on top they have a yummy chocolate caramel swirl. I know right haha! Get the recipe at Cookies & Cups I think mine look better what do you think ?